By definition, a tenon is a simple work of joinery. 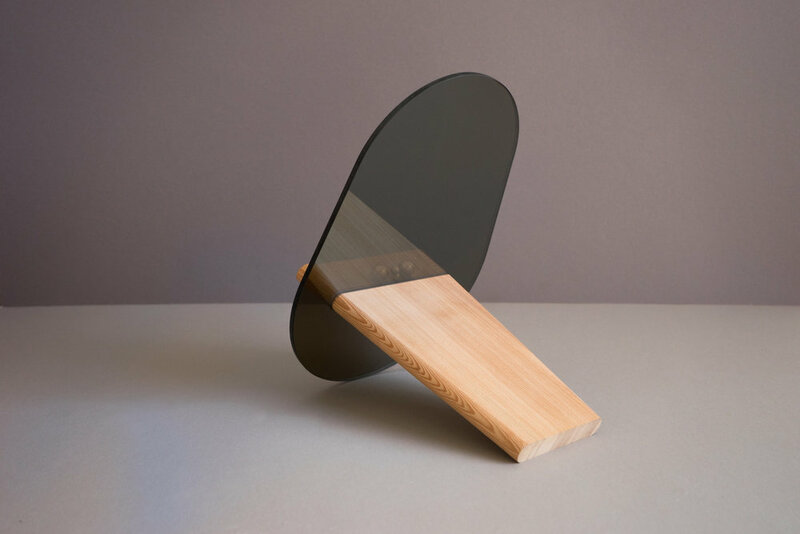 Used here to create a mirror, the simple and elegant form acts as both a shelf and a support for the mirror. 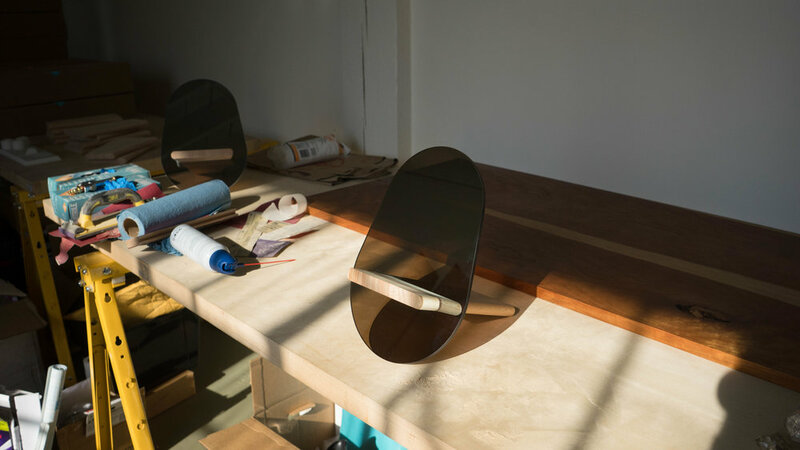 The tenon mirror itself can be reflective or translucent, depending on the surrounding light. MATERIAL: Mirropane & Douglas Fir (Oregon). TECHNIQUE: CNC (Mirror), Handwork (WOOD). The Mirror part is a Mirropane piece machined by CNC. Due to its properties, it reacts differently depending on the angle / the light conditions, either highly reflective if looked directly into or transparent from the side. The wood piece is handmade in Oregon.